There is nothing as thrilling for kids as jumping into a cool, fun pool with friends and splashing around for hours during the heat of the summer days! Due to the expense of owning and maintaining a private pool, for many kids, the only option is a public pool often overcrowded with children. As a parent have you ever wondered, what are the risks associated with public pools and head lice? Are children at greater risk for contracting head lice during the summer? What do I need to know to protect my children while swimming during the summer months? When head lice are put under water they go into survival mode. Gripping tightly with the claws on the tip of each leg, they literally hang on for dear life and most often are able to keep a tight grip. If a louse does lose grip and is knocked off the host head, it will float at the top of the water for hours. In fact, an adult louse can hold their breath for over 4 hours, quite an amazing fete. This is why bathing and shampooing hair does NOT kill head lice. So, ultimately head lice cannot swim but they can survive in water for many hours. Can Head Lice Be Transferred Through Water? If a louse is floating in the water it is possible, but highly unlikely, that it would be able to grasp onto a new host head. The Centers for Disease Control and Prevention indicate that the biggest threat for contracting head lice during swimming is through the sharing of towels. The interwoven fabric of towels is the perfect place for head lice to grasp onto and lay in wait for their next human head. Laying on towels, drying bodies and especially drying off hair are all a realistic way that head lice can be transferred from person to person while swimming. Doesn’t Chlorine Water Kill the Head Lice? No. Scientists have debunked the myth that chlorine water kills head lice. They can survive it for several hours and not be affected. How Can I Protect My Kids From Getting Head Lice at Swimming Pools? If you are concerned about contracting head lice while swimming the best option would be using a swimming cap. This would protect the hair from any contact of a live louse. Most importantly, talk to your kids about NOT sharing towels at the pool. This is the best way to prevent head lice at the pool. Is Summer Time the Most Active Time for Head Lice Outbreaks? Some people think that head lice are more prevalent in the warmer months because of weather. Actually, the biggest factor for the transfer of head lice is direct head to head contact from people. 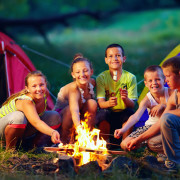 Therefore, summertime is a high time for head lice outbreaks not because of the heat, but because children spend more time together at summer camps and playing outside. The most common time for outbreaks we see is summer camp, spring break, back to school, and extended vacation times from school such as Christmas break. Summer camps all across the United States report that head lice are a common problem for them. 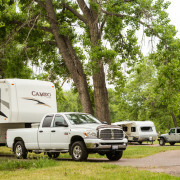 According to the The American Camp Association, there are about 7,000-overnight camps and about 5,000-day camps in the U.S., for a total of more than 12,000 camps. These camps are attended each year by more than 11 million children. Many of these camps contact local professionals to provide head lice screenings in hopes of preventing an outbreak. Others do not even have a plan if someone is diagnosed with head lice. Why Is Summer Camp Prime Time for Head Lice? Summer camp brings kids together! They spend days living close together in tents or cabins, sharing clothing, sleeping near each other, and spending all day with their friends. This gives head lice more opportunities than normal to transfer from one head to another. 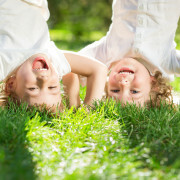 Children also become more close-knit and tend to share things they normally wouldn’t. Whether its a sweatshirt, a swimming towel or a teddy bear, kids who are staying together become closer and borrow things more frequently. Does Your Summer Camp Provide Head Lice Screenings? There are several ways to ensure that your child is protected against head lice during summer camp. Checking with their camp policies and procedures is a great way to start. Some camps will send a child home if they show signs of head lice. Others will simply treat the problem at camp. Lice Clinics of America is an excellent resource for providing camp screenings and offering onsite treatments if needed. If your camp doesn’t have a plan in action, suggest they contact our offices today to determine what would work best for your summer camp. Don’t send your child to camp without first ensuring they do not already have head lice. Take the time to perform a head lice screening on your own child. 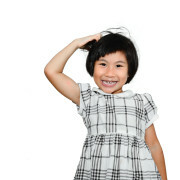 Using a nitpicking comb, look through the child’s hair for any signs or traces of head lice. If you have any questions or concerns, contact Lice Clinics of America for help. We also offer head lice screening in the clinic and can show you what to look for. Contact your local Lice Clinics of America for any preventative products that may be able to help your child during summer camp. We offer safe, affordable shampoos, conditioners, and sprays that deter head lice from making your child’s scalp a host. Talk to your kids about the ways head lice are commonly transferred. Teach them that direct head to head contact poses the greatest risk. That means snuggling, hugging, sitting next to someone, or even standing closely. Remind them not to share personal items, hair brushes, blankets, etc. Ensure they understand that these belongings could pass along nits, or lice eggs and cause an infection. Even things such as electronic devices with earbuds or headphones could transfer head lice. Reassure children that people with head lice are not bad or dirty. Anyone and everyone is at risk. Teach them that there are safe and painless ways to eliminate head lice and possibly prevent it. To Nitpick or Not to Nitpick? Every Parent’s Dilemma. Did you know that centuries ago head lice and body lice developed into two separate species? One that exclusively fed on human life and one that lived off of chimpanzees and other animal mammals. These pesky parasites became such an irritant for our early ancestor homo sapiens and chimps alike that they would spend a lot of time sitting around, picking nits and lice off of each other to help relieve the irritation. The term “nit-picking” is a direct result of this act. In fact, for chimpanzees, it has continued to be an important social bonding time for families and groups. So no, we aren’t giving every parent an automatic pass to constantly nag your children. We are referring to taking an active role in keeping your family free from head lice. Head lice checks, or nitpicking, is a great way to catch the problem early on and prevent it from spreading. How does a parent go about nit-picking? Know what you are looking for. Lice grow in three separate stages. You can learn more detailed information about these stages through the CDC. Essentially, a nit or egg is laid near the base of a scalp. They will be transparent in color and literally glued onto individual hair strands. After about 9 days the nit hatches and nymph emerges. Nymphs are smaller lice that will molt several times until they have grown into a full grown louse. Adult lice are the size of a sesame seed, brown in color and quickly scurry away from direct sunlight. For this reason, the best way to indicate a head lice problem is to find nits or eggs. Use a nitpicking comb. Having the right tools for the job can make all the difference. Nitpicking combs can be purchased at Lice Clinics of America. We offer expert advice on head lice checks, can even perform them for you, or show you the best ways to look. At home, we definitely recommend using a nitpicking comb that is specifically designed to have narrow, long teeth that will grasp eggs and live lice and comb them out of the hair. Where do I start? Begin by wetting the child’s hair and applying hair conditioner. Comb their hair through to remove any tangles. Get a clean paper towel and have it handy. Next, start behind the ears, at the crown of the head and near the neckline where head lice like to hang out. Comb through hair carefully and one small section at a time. Each swipe, wipe off the comb onto a clean paper towel so that you can observe any remnants that are coming off. Make sure to scrape lightly against the scalp with each combing to catch nits that are laid near the base. Be patient. Especially for children with thick hair, this process can seem daunting. However, the more often you do it the less time it will take. Remember, even school nurses who deal with head lice checks regularly are often mistaken in their diagnosis. If you have any concerns or questions, don’t hesitate to contact the professional staff at Lice Clinics of America. We deal with head lice every day and can help you identify if you have a problem, quickly and eliminate it effectively. Know when to check. Head lice are a problem all year long. However, the most common times for children to contract head lice are while participating in sporting teams, summer camps, sleepovers, spring break, vacations and back to school. Especially after these events take the time to check your children for symptoms of head lice. Finding the problem early on can alleviate a lot of the concern of head lice passing from person to person in your household. Lice Never Go On Vacation. Don’t Catch Them On Yours. So, what makes a vacation successful? Making memories, creating bonding time, having fun and definitely coming home head lice free! Did you know traveling can put your family at risk of contracting head lice? Here is some expert advice on ways traveling makes you susceptible and how to avoid head lice on your vacation. 1.73 million people flew commercial airlines every single day in 2017, according to The Bureau of Transportation Statistics. That is millions of people sharing seatbacks, standing in overcrowded lines, and pushing through groups to catch a flight. All possible scenarios where head lice can be passed from person to person. Seats are not sanitized regularly enough to kill head lice on airplane seats. Lice or nits can stay alive for 2 days when they are removed from the head of a human. That means it could be waiting in the woven fabrics of the seat, looking for its new host to provide shelter and food. Millions of travelers each day make your chances of catching lice on a flight, on a public bus, in a taxi, or any means of public transportation greater than you may think. Especially during summer months when travel is more common. Heavily, crowded areas with large groups of people are always riskier when it comes to head lice. Amusement parks, beaches, theaters, malls or ball games are all places where direct contact may be unavoidable as someone pushes up against you in line, or bumps into you unknowingly to get past. Super lice, lice resistant to over the counter treatments, are now more prevalent in the U.S. than ever. 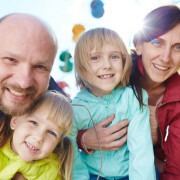 While traveling be aware that these super lice have been reported in 48 out of the 50 states in the U.S.
Family vacations mean staying in hotels, motels, RVs, tents, or accommodations that put your family members within close proximity to each other. Direct contact is the most common way head lice are passed from person to person. Living closer together means more contact is inevitable. Sharing is often more common on vacations. Timmy forgot his pillow, or Mary left her towel at the pool. Any of the personal items we use that could be harboring lice are sometimes shared by more people and more often on trips. We might not have access to washing machines as often as well. Don’t be lackadaisical about head lice on your vacation. Sometimes during the fun and adventure, we can forget to be cautious. Maybe it would help to talk to your kids beforehand about being diligent to avoid head lice. Each person should use their own beddings, towels, hats, jackets, stuffed animals or even headphones while traveling. Individuals should try to use their own personal belongings and not share even in cars or while traveling on airplanes. Passing head lice is very common by sharing bedding and headgear. This does not change just because you are taking a vacation. Avoid trying on hats and jackets at gift shops. Think of the thousands of people who may be trying on the same hat. Avoid this by coming prepared with your own gear from home. Order a hat online beforehand and sport it during the whole trip. It could still count as a souvenir and not be a risk for head lice. Remember, people with long hair are more at risk for catching head lice. Did you know that head lice grasp hair strands with little claws attached to the end of their legs? Longer hair is more easy for them to attach to. Pull it back into a hat, up into a braid or ponytail to avoid contact with head lice. Perform head lice checks on the scalps of all your family members before you leave for vacation. Vacation fun time is not the best time to discover one of your family members has head lice! Check beforehand to make sure you don’t have a huge problem on your hand once you reach your destination. Remember, sometimes symptoms can take weeks to manifest. Utilize the Lice Clinics of America and their professional advice! We help thousands of people with head lice every day. Our clinics offer professional nit combs and kits to help you effectively prevent and treat head lice. Call us today to discuss any concerns or questions you may have about head lice checks. Lice treatment can be a pain, but not when you come to our clinic. We make it simple and fast! Not to mention that it’s perfectly safe. Here are 4 facts about head lice that you may not know. There’s not a certain nationality or style of hair that lice like best. They will live in any type of hair and they are spread through head-to-head contact. Most people think lice like dirty hair but studies show that they actually prefer a clean head of hair. However, they will infest both. Head lice are not a result of uncleanliness or hygiene, they have nothing to do with that. Lice cannot infest a bald head. They need hair strains to attach to and lay their eggs in and they need a scalp to get a blood supply from. The first symptom of head lice is itching. The itchiness on the scalp, back of the neck or behind the ears is an allergic reaction to lice saliva. It often takes three to four weeks for that reaction to start, hence why you might not even know about a head lice infestation until a few weeks into having it. This is why head checks are important, which brings us to number 3. The sooner you find lice, the sooner you can get rid of them, preventing them from spreading to anyone else. Nobody wants to be the reason for a lice outbreak at school. The only way to catch lice early on is to perform regular head checks on your children. Do it weekly if they are young and daily if there’s an outbreak at school. If you need lice treatment, look no further than our clinic. If you haven’t heard, our clinic is home to the revolutionary and FDA-cleared AirAllé device which blows controlled heat to dehydrate lice and their nits. It’s safe, fast and effective. Now you know a little bit more about head lice. Call us if you have any questions or need to schedule an appointment! Most of us look forward to summer all year long and then the time comes and many of us struggle to pull our kids away from their video games or get them off the couch. Looking for some ways to keep your kids active? Here are 6 summer activities to do in the Houston area. Come to Nature Discovery Center Every Wednesday at 4 p.m. for a free story time. This is a great way to keep your kids reading and listening during their summer break and this particular story time goes beyond the typical book reading as it includes live animals, puppets, short nature walks, crafts or songs and nature stories. It’s located at 7112 Newcastle and kids love it. What kid doesn’t love a day at the Zoo? The Houston Zoo is a great place to take your kids as a reward for good grades during the school year or to celebrate a birthday or just have a family day. This is a fun place for toddlers or teens. Check out their website for prices and additional details. Texas has some blazing hot summer days and sometimes you just want to be in the water all day. Splashway is a perfect place to do that as you enjoy water slides, a lazy river, and even has a campground. A day in the water and a night at the campfire sounds like a pretty amazing family outing to us. What do you think? The Children’s Museum of Houston is said to be a “playground for your mind.” It is filled with interactive exhibits and lets them step into the shoes of their dream career such as inventing things, programming robots, anchoring the news, running a business, getting elected as mayor and much more! Thursday nights are free for families. At Brazos Bend State Park you can bike, fish, hike, camp, stargaze and more. There are opportunities to take guided hikes and learn about the natural history around you. Does your child have an interest in crocodiles? Then the Crocodile Encounter might be a place to visit this summer. It is the home to the largest group of Nile crocodiles in the country. You can see some pretty cool animals and get close to them. It’s a unique experience and one that can’t be passed up! Whether you spend a day with the zebras or soak up the sun at a water park, we hope you create some amazing memories with your children. Happy Summer!